Shark Tank is one of my favorite shows. I have been a religious follower since the first week. If you’ve never seen ABC’s Shark Tank, you must add it to your “must watch” list. Each week different entrepreneurs pitch their business to five sharks. The sharks put them through the ringer and fight each other for a piece of the action. The show is a classroom for business. They talk about valuations, marketing, manufacturing, scaling and a whole host of business challenges. This is the perfect show to watch with your kids. 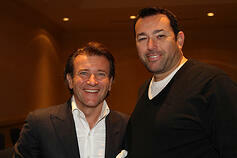 A few weeks ago I was invited to have breakfast with Robert Herjavec from Shark Tank. He spoke at a conference for IT company owners hosted by my good friend Robin Robins. You can see the picture of the two of us below. Robert started a few internet security firms and sold them for over a hundred million dollars. He went on to start another internet security firm. Some times a fat bank balance is the kiss of death. The first year’s revenues in his current venture were four hundred thousand dollars. He lost a million dollars the first year and decided to move forward. Building that business was slow and painful trudging his way to around five million. He knew if he didn’t make a dramatic shift, he would pull his hair out growing so slowly. He decided the big bucks were going to come from the big companies. His focus switched to large institutions like Banks, the Fortune 1000 and government institutions. By targeting the big fish, he has taken the company to over a hundred million dollars a year in sales. I’ve been practicing and teaching this for years. I call it the Top 100. When I first started implementing direct marketing, I mailed and called the hundred largest employers in middle Tennessee. 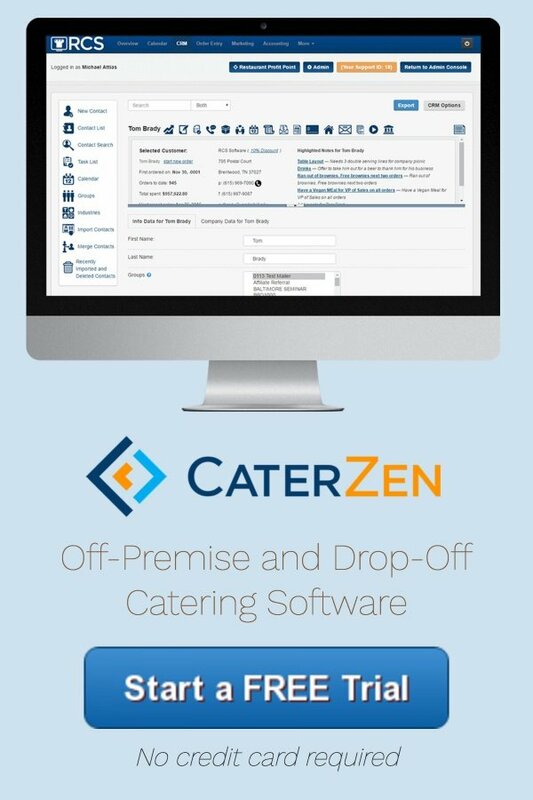 Within nine months, I had booked over $45,000 in catering sales. Keep in mind; this was around 1996; almost twenty years ago. I have a long list of clients who have benefited from this strategy. Marketing is not a mystery. It’s one part common sense and four parts action. During his talk, Robert also talked about the investments that made the most money on Shark Tank; products and services targeted to consumers not businesses. Though it seems like common sense since the show is seen by consumers, it took them a season or two to figure out. Robert was entertaining and motivating. After all, what guy wouldn’t be impressed by a guy who owns and races Ferrari’s? But my big takeaway was the power of targeting. I’ll sound like a broken record saying this, but the riches are in niches. Few, if any of us, have the pockets to blanket the masses with our message. The other day on our Catering Coaching Call, a member asked about how to target individuals for their catering needs. Unfortunately mass media, even with an unlimited budget, is a losing proposition. I suggested he use target marketing to capture consumer based catering. With niches like weddings, rehearsal dinners, high school graduation parties, B’nai Mitzvahs and other easy to target niches, his ROI would be much higher. Just look at the largest restaurant chain, Subway. They have deep pockets and tons of marketing muscle. If they advertise catering to consumers, it’s an afterthought piggybacked to a direct mail piece of television commercial usually used at strategic catering times. If there was a way to target consumers with just a catering message, they would have figured it out. 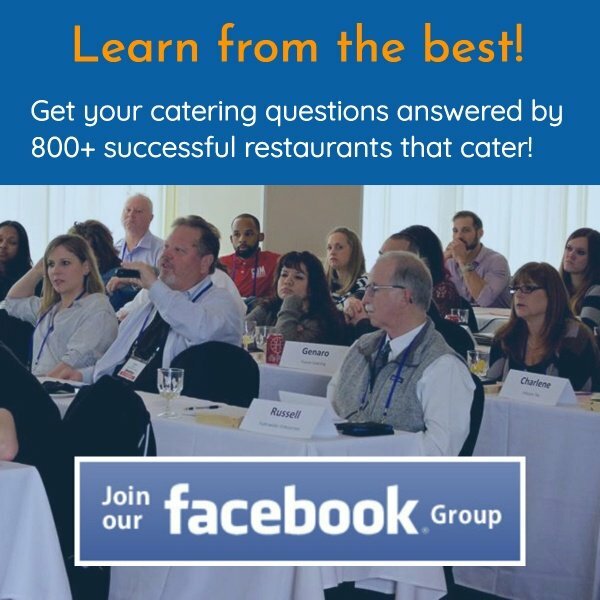 Our members only website at www.RestaurantProfitPoint.com is full of ad templates ready to help you capture catering from a variety of catering niches. Stop looking for ad reps to sell you a silver bullet for new sales. Roll up your sleeves, climb on the target marketing bull and ride it all the way to the bank.